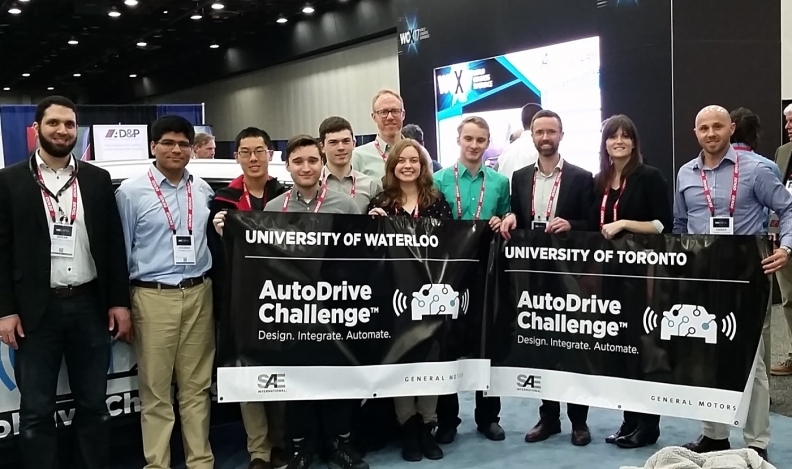 Staff from both the University of Waterloo and University of Toronto said they were thrilled to be chosen for the AutoDrive Challenge. Two Canadian universities will compete against six other North American universities in the upcoming AutoDrive Challenge, an autonomous vehicle design competition. Partners SAE International and General Motors — the companies behind the challenge — chose the University of Toronto and the University of Waterloo as two of the finalists. The others are: Kettering University, Michigan State University, Michigan Technological University, North Carolina A&T University, Texas A&M University and Virginia Tech. The new autonomous vehicle design competition will be a three-year challenge during which the teams of university students will develop and demonstrate a full autonomous driving passenger vehicle. The competition’s technical goal is to navigate an urban driving course in an automated driving mode as described by SAE Standard by the third year. Throughout the competition, students will focus on autonomous technologies and allow for modification and testing. They will work with real-world applications of sensing technologies, computing platforms, software design implementation and advanced computation methods such as computer vision, pattern recognition, machine learning, artificial intelligence and more. Staff from both schools said they were thrilled to be chosen. “The AutoDrive Challenge builds on our deep experience in robotics and autonomous vehicles, and we look forward to working with mentors from GM Canada to bring our students’ creativity and design savvy to the competition,” University of Toronto professor Tim Barfoot said in a statement. “Student competitions such as the AutoDrive Challenge allow our undergraduates to gain first-hand experience while learning from industry leaders like GM Canada,” University of Waterloo electrical and computer engineering professor Derek Rayside said in the same statement. 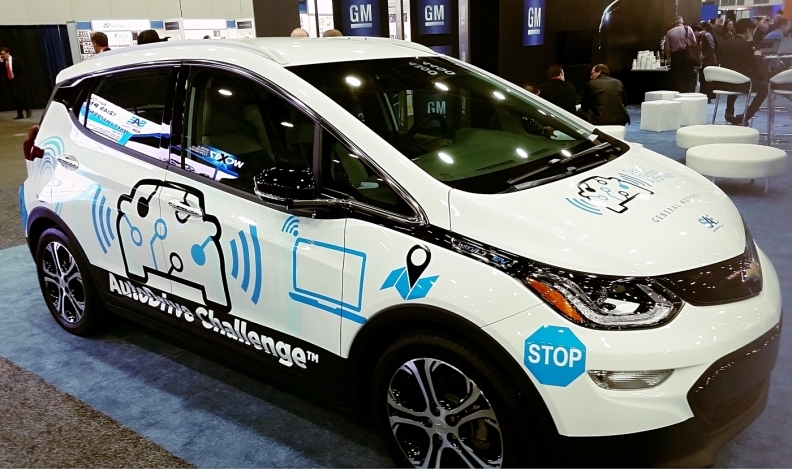 GM will provide each team in the AutoDrive Challenge a Chevrolet Bolt EV as the vehicle platform. The challenge starts in fall 2017. GM will provide each team a Chevrolet Bolt EV as the vehicle platform. Strategic partners and suppliers will aid the students in their technology development by providing vehicle parts and software. Brain Tossan, director of the Canadian Technical Centre for GM Canada, said the automaker is looking to grow its Canadian engineering base over the next few years. “These student competitions are a great source of talent for us,” he said.